I am newly employed as a BMW Client Advisor (salesman) and have driven some amazing cars. I have had the opportunity to drive everything on the lot at one time or another, but I need to be honest, it's the top of the line cars that captivate me and I have spent the most time in. One car that I have avoided trying was the “lowly” BMW 1 Series Coupe (128i and 135i). After all, why bother trying the entry level offering when I can drive the $100k models a few feet away? Well boy oh boy were my priorities off! This past week I had some time, so I grabbed the keys to a BMW 128i with the Sport Package. You don't get into this car so much as the car straps on to you. But as small as the car is, it fit amazingly well with plenty of room to spare, and I am 6' tall and 240 pounds! The moment I pulled out of the parking lot I knew I was in for a treat and I should have tried this much sooner. The 128i is a rocket ship! It has the same exact 230 HP engine as its 328i big brother with 25% less weight, and as a result it FLIES. But like all BMW's, its handling is unmatched and it sticks to the road like peanut butter sticks to my kids' faces. And guess what? The 128i is the lower car in the series and has the SMALLER engine. The 135i has twin turbos producing 300 HP! I haven’t driven it yet, but if the 128i is this much fun to drive I can only imagine what the 135i is like. Don't even get me started on the M1 variant that’s coming out later this year! The most amazing thing about this car? 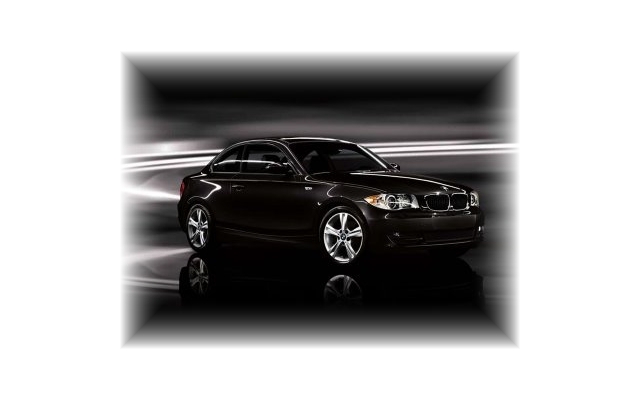 You can get one loaded with all options for thousands less than a medium equipped 3 Series. The only sacrifice that comes with the 1 Series is that you cannot get BMW's “xDrive”. The xDrive is BMW's active all wheel drive system, the 1 Series is rear wheel drive only. But for sports car enthusiasts that's actually not a bad thing at all. The 1 Series is still decent in the snow as it has a near 50/50 weight distribution and a traction control system. Throw some good snow tires on it and you can drive it in all but the nastiest of conditions. I was pleasantly surprised this week, my new favorite BMW just so happens to be one of the least expensive. If you get the chance drive one of these beasts, you will not be disappointed, I promise.